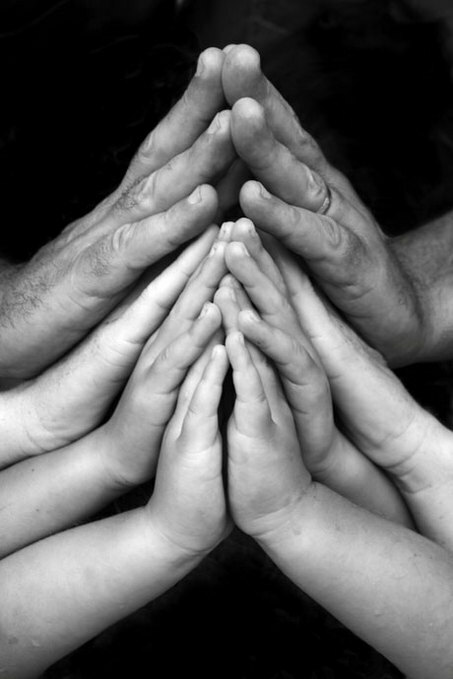 With regard to children, parents are to instruct their children in the ways and commands of God (Prov 22:6; Eph 6:4). Fathers in particular are to guide their children in the way of godly living. That means being able to discern ungodly living (Prov 1:8; 6:20) and giving wisdom for godly living. Instruction at home is both of the formal kind and the informal. Purposely setting aside times to teach in an incremental and age appropriate way the Christian faith is encouraged in Scripture(Prov 13:24; 19:18; 22:15; 23:13-14; 29:15, 17). A father’s spiritual leadership was an important part of daily Christian living (Exod 12:3; Josh 24:15). It was so important to Paul that he required men who wanted to serve as elders to be proven at home (1 Tim 3:5). As has been said, leadership in the home is the proving ground of leadership in the church. Abraham serves as a good illustration for us. Think of all that God called Abraham to become and do. God called him out of the darkness of pagan religion and culture. Told him to leave his hometown and head out to a place where God would show him. God promised Abraham a land of his own (which he never possessed) and a people (of which he saw only one person: Isaac). Yet, Abraham and Sarah were going to give birth to a nation of kings and priests to God. They would have more descendants than could be counted. They would become the light of God’s truth to the world. Through Abraham and Sarah, the Savior of the world would be born, the mercy and refuge of the gospel would be revealed, and God’s glory would be made public. The promises of God to Abraham – and to the whole world – rested on the unique role he would fulfill in training his children “to keep the way of the Lord.” Abraham was to become the primary teacher of practical biblical theology in his home. His students would be his wife Sarah, his wife Hagar, his son Ishmael, his son Isaac and all his servants – pagan or God-fearer. And we know that he did this faithfully. When Abraham took Isaac to offer him up to God as he was commanded, Isaac asked about the lamb for the burnt offering. There’s a pattern to take note of. God ordained that the message of gospel hope was to be advanced in the world through the next generation in Abraham’s household. The same has been true ever since. God’s plan for spreading the gospel starts with Christian parents evangelizing and discipling their children. Through the 2,000 years of the church since the first apostles, we find church leaders practicing and encouraging Christians in family worship. The earliest mention comes from the church father Jerome (AD 347-420). “At an early hour in the morning, the family were assembled, when a portion of Scripture was read from the Old Testament, which was followed by a hymn and a prayer, in which thanks were offered up to the Almighty for preserving them during the silent watches of the night, and for His goodness in permitting them to meet in health of body and soundness of mind; and at the same time His grace was implored to defend them amid the dangers and temptations of the day, to make them faithful to every duty and enable them in all respects to walk worthy of their Christian vocation. In the evening before retiring to rest, the family again assembled, when the same form of worship was observed as in the morning with this difference: that the service was considerably protracted beyond the period which could conveniently be allotted to it in the commencement of the day”3]. Abraham [who] had in his tent a house of God and a church, just as today any godly and pious head of a household instructs his children . . . in godliness. Therefore, such a house is actually a school and church, and the head of the household is a bishop and priest in his house. In present gospel days neither prayer nor any other aspect of religious worship depends for its efficacy on the place where it is performed . . . for God is everywhere to be worshipped in spirit and in truth; as, for instance, in the daily worship carried on in private families, in the worship in which individual Christians engage in secret, and in the worship of the public assemblies. He [the head of a household] is to be gravely and sadly reproved by the [elders] [for the exercise of his responsible] after which reproof, if he be found still to neglect Family-worship, let him be, for his obstinacy in such an offence, suspended and debarred from the Lord’s Supper, as being justly esteemed unworthy to communicate therein, till he amend. First, let us begin by emphatically declaring it is parents (fathers in particular) and not the church who are given the primary responsibility for calling the next generation to hope in God. The church serves a supplementary role, reinforcing the biblical nurture that is occurring in the home. It is not the job of “professionals” at the church to rear the children of believers in the faith. I want to mention John G. Paton because of the significant role his father played in Paton’s success in ministry. Paton was a missionary to the South Pacific islands of the New Hebrides. He arrived on the island of Aniwa in November 1866. The natives were cannibals who occasionally ate the flesh of their defeated foes. They practiced infanticide and widow sacrifice, killing the widows of deceased men so that they could serve their husbands in the next world. Paton admitted fear and doubt about his life and ministry. There were many dark days of service there; Paton buried his first wife there. There was no secret spirituality behind the discipline of these men. No father or mother has to be a theologian. The only qualification necessary is to be a parent who will do three simple things in the home on a regular basis: read the Scripture, sing a song and pray together. That is all Jerome, Luther, Spurgeon and Paton did in their families! No need to be a giant of the faith; just a dad and mom who love their children enough to form Christ in them. And remember, it’s not just about children but for the entire household. In NT times there might be another generation in the home (e.g., grandparents) or in wealthier homes servants and/or slaves (Acts 11:14; 16:15, 31-33; 1 Cor 1:16). J. W. Alexander, Thoughts on Family Worship (Pittsburgh: Soli Deo Gloria Publications, 1994), 20-21. Jerome was a Bible scholar and the author of the Latin Bible known as the Vulgate published in the late 4th century AD. Donald S. Whitney, Family Worship (Shepherdsville, KY: The Center for Biblical Spirituality), 9. N. A., A Faith to Confess: The Baptist Confession of Faith or 1689 Rewritten in Modern English (Leeds, England: Carey Publications, 1975), 51. “FBC Church Member’s Covenant.” See paragraph three. Samuel Davies, “The Necessity and Excellence of Family Religion” [on-line]; accessed 28 March 2011; available from http://www.puritansermons.com/banner/sdavies1.htm; Internet. Steve Wright, “Key Puritan Quotes” [on-line]; accessed 2 January 2010;a available from http://www.alexchediak.com/image/Steve%20Wright%20-%20reThink%20-%20Puritan%20Quotes.pdf; Internet. John Piper, “You Will be Eaten by Cannibals!” [on-line]; accessed 14 July 2011; available at http://www.desiringgod.org/resource-library/biographies/you-will-be-eaten-by-cannibals-lessons-from-the-life-of-john-g-paton; Internet.